Detective Connie Giannelli’s life has been torn apart several times. First when her mother died and then years later when she found out her Uncle Dominic was in the mob. Her life is about to be shredded again, and this time it could destroy her. Connie’s love of family and her badge are both threatened when an undercover drug bust leaves two cops dead and the drugs missing. Internal Affairs is looking for any excuse to take her badge, but she’s not worried about them finding the missing drugs—her secrets could prove to be far worse. Now Connie’s racing against the clock to figure out who killed her partners and took the drugs—dirty cops or Uncle Dominic’s friends. And she has to do it before IA pins the whole damn thing on her. 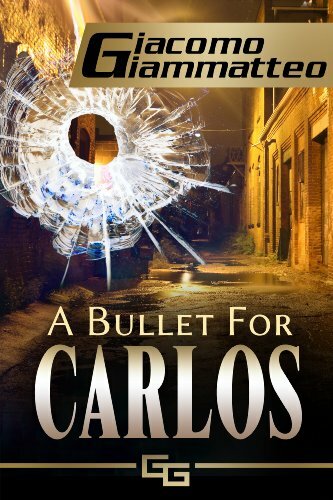 Click here or type in http://geni.us/carlos into your web browser to pick up your copy of A Bullet for Carlos in the Amazon Kindle store. Since this is a bio some of you might wonder what I do. I’ve had a successful 30 year career as a headhunter, recruiting top talent for some of the world’s best companies–Apple, Johnson & Johnson, Abbott Laboratories, and many high-profile start-up companies. During that time I’ve completed more than 500 searches, which translates into evaluating, editing, and writing thousands of resumes. I have also interviewed and done reference checks on more than 1,000 candidates. I’ve learned what companies want to see on a resume–and, perhaps more importantly–what they don’t. You’ll find a lot more information in the book and on my website. Getting back to the bio–when my kids were young I left the Northeast and settled in Texas, where my wife suggested we get a few animals. I should have known better; we now have a full-blown animal sanctuary with rescues from all over. At last count we had 45 animals–11 dogs, a horse, a three-legged cat and 5 others, and 26 pigs. Oh, and one crazy–and very large–wild boar, who takes walks with me every day and happens to also be my best buddy. In the evening I help my wife tend to the animals, and at night–late at night–I turn into a writer. 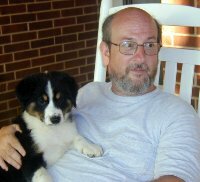 You can visit Giacomo’s Amazon author page if you click here or type in http://geni.us/giacomo into your web browser.